Taking advantadge of this moment, we’d like to thank Angela for her nice words towards our magazine. From the NRS version 1,7 on, launched on November 2015, the Nxt platform has the Account Control feature enabled. 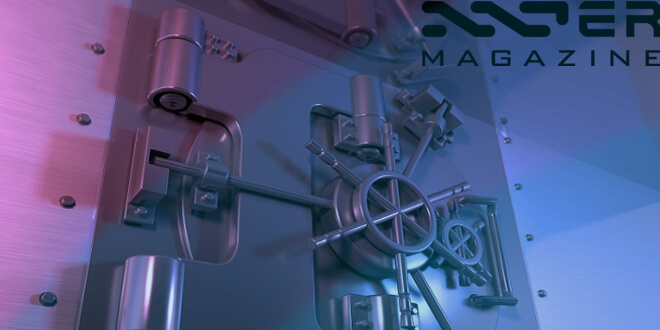 This feature implements a number of methods for applying limits and controls on Nxt accounts, such as setting a lock on an account to prohibit any outgoing transactions or defining a set of rules for unlocking the account. The account control feature will allow a user to set a “lock” on an account which prohibits any outgoing transactions until certain conditions are met. This equates to having a Two-Factor Authentication when using your Nxt wallet. The following video by MrCluster87 explains in details how to activate this function. Another possibility available for users to increase the level of security when using our Nxt Wallet is by using Offline Transaction Signing, which keeps us from introducing our passphrase on an internet-connected computer. The full process is detailed in the NxtWiki. The fortnightly magazine Asset Servicing Times has published an article by Bas Wisselink, of the Nxt Foundation. This article deals with the governance models that we can find in an open-source community like Nxt: how the first devs get together and started the project, the project management necessary to coordinate all the tasks that must be carried out, the governance system to coordinate all the people that take part in it, etcetera. The article explains how the Nxt Foundation acts as a promoter and point-of-contact for anything that concerns the public blockchain version of the Nxt software, as well as manages the community around it, initiates development of applications, engages in research and thought leadership, and provides structured feedback from users to the core development team. I played around a bit with the CSS by using a theme and then customizing it in an effort to make things look better… it’s important to keep in mind that a lot of people who are casually in crypto aren’t on the forum, IRC or Slack. Both Tosch and I are working in multiple fronts and it is becoming difficult to spend time and resources on MyNxt. The whole MyNxt environment is a great tool, but it requires considerable attention and upgrades, and it is becoming more difficult to keep up…. But this also put in the table the convenience of a change in management, so these days the MyNxt infrastructure is leaving the SuperNET domains (where it’s been since the end of last year) and moving both feet into the Nxt community. In this excellent video The Nxt Foundation’s Bas Wisselink introduces Ardor to a packed house during Bitcoin Wednesday on 7 September 2016 explaining the future features of the platform and the common problems that all the cryptos face, like blockchain bloat, which will be solved with Ardor. Dave Pearce, of the Nxt Foundation, has published a new tutorial addressed to exchanges in order to establish a precise way to distribute the ARDR assets among the clients that keep their NXT in exchanges. We’d like to remind you that the exchanges Poloniex, BTC38 and Bittrex have publicly expressed their intention to distribute the corresponding ARDR assets to those users that keep NXT in those exchanges.